A painting only provides one viewpoint from the front. A sculpture offers many more viewing points and a 3D experience that provides a feeling of visual completeness. When you own a piece of art for some time, there will always be new details that you discover but with a painting this will always be from the front. A sculpture can offer new and exciting details from all angles, the back, the sides or even sitting atop your chosen piece. 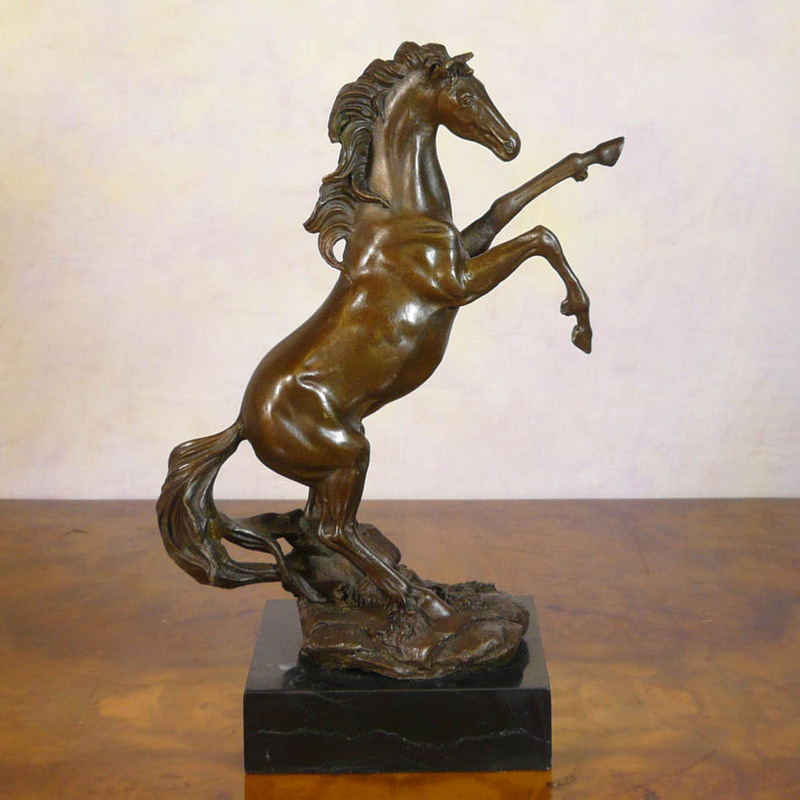 Bronze is a popular material choice for sculptures and bronze sculptures have been made since earlier than the 9th century. Bronze art was found in all cultures across the world, including Egyptian, Chinese, Roman, Greek and Indian. A variety of methods were employed to create unique and diverse designs. Other advantages of sculpture over paintings include the fact that no rearranging of wall space is required with a sculpture. Installing a painting often involves rearranging existing artwork and even replacing that which currently on display with the new piece. Sculptures, however, do not demand wall space and are normally displayed on their own platform, pedestal or simply placed on the ground. Of course, it could be argued that painting offer a splash of colour and more intricate design but consider that sculpture can also offer intricate design, colour and much greater depth. Sculpture provides a deeper dimension to viewing art and a more engaging experience in which to enjoy it. Another reason to invest in sculpture might be that you are particularly drawn to a certain piece and experience a positive reaction to it. If an artist has communicated with you on a deep, personal level then you just might have to invest in that piece as it speaks to you like no other.